This week, Montana farmer and US Senator Jon Tester, took to the floor of the Senate to explain why he has introduced a Constitutional amendment to preserve rights of human beings, and end the fabrication of new “corporate rights”. 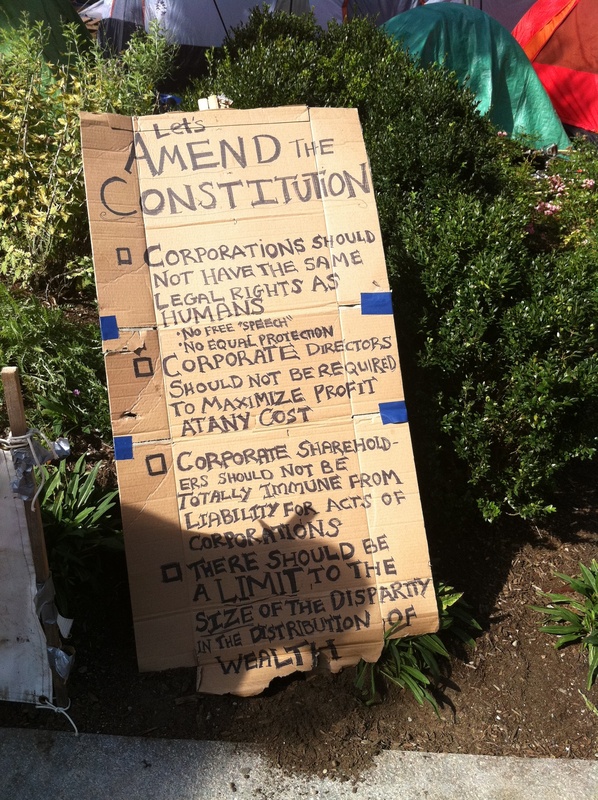 In November 2012, 75% of Montana’s voters approved a ballot initiative instructing Montana’s elected representatives to work for a 28th Amendment to overturn Citizens United and the new theories that money is speech, and corporations are people under the Constitution. 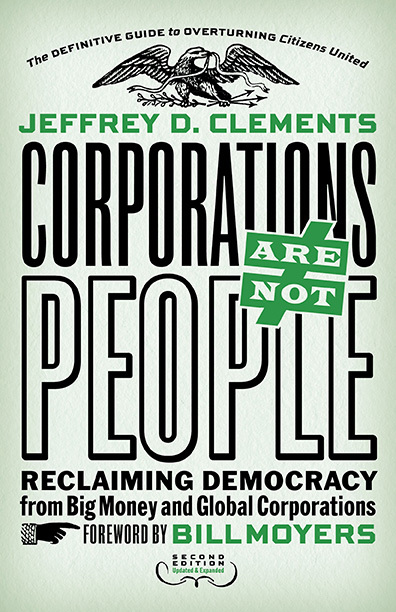 The new, updated and expanded edition of Corporations Are Not People: Reclaiming Democracy From Big Money And Global Corporations will be released in August. I’ve worked hard to make this book even more of an effective tool for all of the work we do together for American democracy and self-government, and 100% of author royalties are donated to non-partisan, non-profit groups engaged in this work. I’ll be hitting the road to carry our message across the country in a few weeks, and I’m in the process of adding events now. Here’s the beginning of the schedule: https://corporationsarenotpeople.com/events/ More events will be added soon. Please let me know if your organization or one you work with might be interesting in doing an event or otherwise collaborating with the book to get our message out and to continue to build on our progress. And if you think you will be interested in the book (I hope so! ), you can pre-order it now from your local independent bookstore (such as this one) Amazon , Barnes & Noble, Indiebound, or my publisher, Berrett-Koehler which can arrange bulk discounts for non-profits. Many thanks, and hope to see you soon. The court’s expansive notion of corporate personhood invites for-profit entities to seek religion-based exemptions from regulations they deem offensive to their faiths. – Justice Ginsburg, dissenting. June 30- The Supreme Court decided 5-4 that a for-profit corporation with a limited number of shareholders (but 13,000 employees) may assert a right of religion under the federal Religious Freedom Restoration Act to deny their employees coverage of health insurance that includes birth control. As usual, SCOTUSblog has links to the opinions and dissents (and there are several). Here’s a link to the text of the 28th Amendment that the Senate Judiciary Committee, Sub-Committee on the Constitution, considered and approved today. KOE14034 – Chairman’s Substitute Amendment. Good summary of our progress, from Free Speech For People. The Supreme Court heard argument in the case this week (October 8), where “Justice Antonin Scalia bluntly argued that the Court did not need facts,” as Lyle Dennison at Scotusblog pointed out. We can expect a decision in a few months. As usual, Scotusblog has a lot of links to the briefs and background in one place.